What Is A Horse Bosal? A bosal is a piece of equipment put on a horse's head for riding. 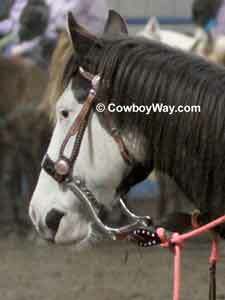 A bosal, when used with a hanger and mecate, is called a hackamore. Typically, a hackamore is used for training and as the horse progresses he or she will usually move out of the hackamore and into a bit. Although every horse trainer has their own way of doing things, it is common for an unbroke horse to be started in a snaffle bit, then moved into a snaffle and a hackamore together. The horse then usually graduates to a hackamore alone. When the horse reaches an advanced stage in the hackamore, it will often then be ridden in both a hackamore and a curb bit, then ultimately ridden in a curb bit alone. However, the above description doesn't have to be the case: Some horses are ridden in a hackamore, either entirely or for certain activities, their entire life. Bosals are commonly made from rawhide braided over a core also made of rawhide. You can sometimes find a bosal with a metal core, but most professionals despise these as being too rigid and wouldn't consider using this type. Bosals have a large knot at the back, behind the horse's chin. The knot provides weight so that when a rider touches the mecate the shift in weight is noticeable to the horse. To most horse people a true hackamore is made up of a hanger, a mecate, and a bosal. However, there is another piece of equipment that is also often called a hackamore. This other hackamore, though, is more correctly referred to as a "mechanical hackamore." A mechanical hackamore is also put on a horse's head for riding. 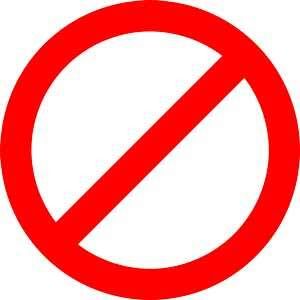 It is considered a piece of equipment best used on a broke horse, not a horse in training. A mechanical hackamore works off of leverage, whereas a bosal does not, so a mechanical hackamore can exert more force upon a horse by the rider, whether intentionally or unintentionally. There is a popular type of mechanical hackamore called a Little S hackamore that offers less leverage than a typical mechanical hackamore and is therefore popular with a lot of riders. You can read more about it here: Little S Hackamores. When talking to other horse people and the term "hackamore" comes up, you may need to listen closely or even ask a few questions to find out exactly which piece of equipment they are referring to.